Today was a rather sunny day. It had been cloudy for the past 2 weeks with no sign of the sun showing up. I had quite a few surprises in store for the day! To begin with, it was sunny and hence better spottings! The train was my normal 07:17 Ambernath Fast from Dadar! The journey was outstanding! I enjoyed each bit of it! On reaching Thane, I was welcomed by the announcement of the Madgaon bound Mandovi coming in! I decided to wait. The train came in with a WDP4 (#20023) working Long Hood Forward (LHF). I am spotting a WDP4 after a very long time now! After this spotting, I rushed to my college with even a guess of what was in store for me in the evening! I left quite late from my college, and made it to the station only by about 16:40. There was no scheduled 12-car fast (I love them!) 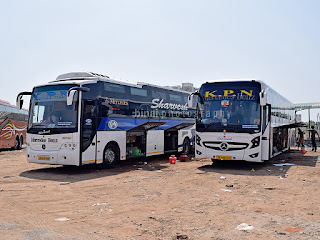 at that time except the 16:50 Dadar Fast! Some time later the Agra bound Lashkar Express came in! (Many passengers co-related the name of this train with the banned LeT). The loco was a WCAM3. I was on Platform 6, and at about 16:55, the 16:50 DR fast local came on Platform 4 without any prior announcement. I had a good run....only to get amazed and awe-struck! The local was a 12-Car AC/DC rake. CR has only ONE AC/DC 12-Car rake, and this rake has the 3 MRVC coaches!!! I boarded one of them (341A). The coach was disappointing! 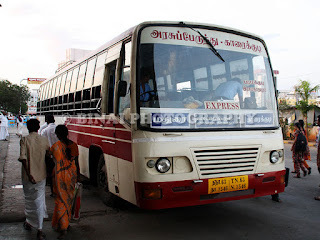 The seating capacity of the FC coach has further been reduced! 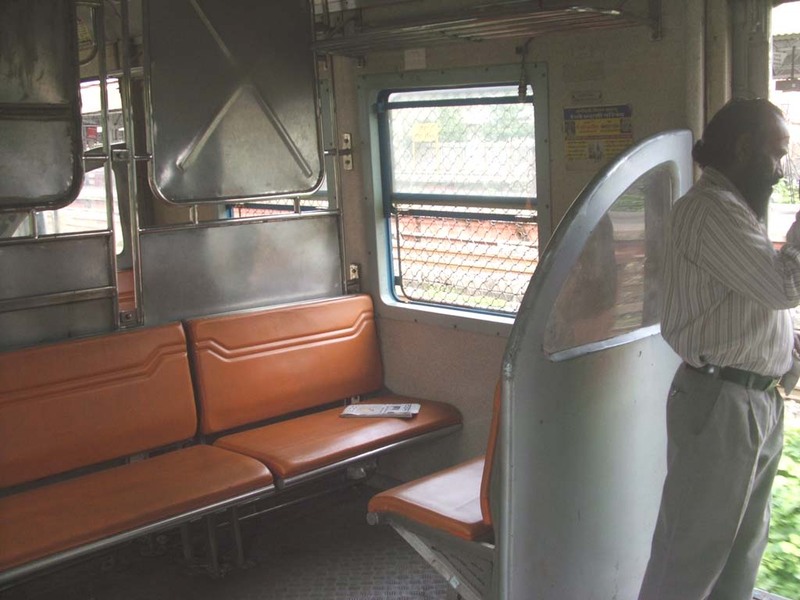 There is no grabrail for people standing at the door, and standing there when the train runs at 100kmph is very risky! The seats aren't that comfortable. Overall, a clear hands down! The run, however, was amazing! The train zipped through stations like Bhandup and Vikhroli at 100kmph with the horns blarring continuously! The run was terrific! 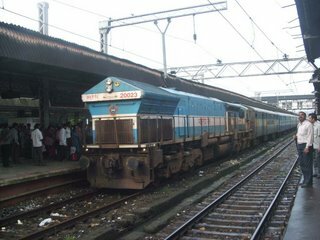 At kurla, i had another surprise - The deccan queen! She came in with a WCAM3. The horn blarred continuously until the end of the platform! The day was a very good one! I had tons of action! I will be taking a break tomorrow - But thats for a very big railfanning coming up in the next week - A trip to Kerala...(Of course by train!). The itinery is still uncertain, but the journey is confirmed! 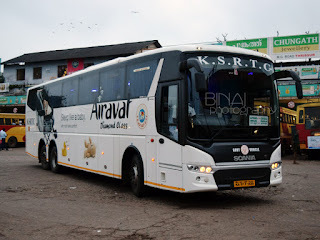 No one who has travelled by the MRVC coach till date has liked it. Millennium EMU is much better. CR has a different layout as compared to WR. In CR the FC at the non-CSTM end of the train is divided into 2 portions. One for Ladies and the other general. In Normal AC/DC or DC rakes the ladies portion has 25 seats and the general has 73-74 seats. In case of the MRVC rake, there is 22 seat in General as well as Ladies!!! The coach is a clear let down! It is horrible. There is a huge space for standing, but noth enough grab rails are provided! The seat is too narrow even for two passengers!